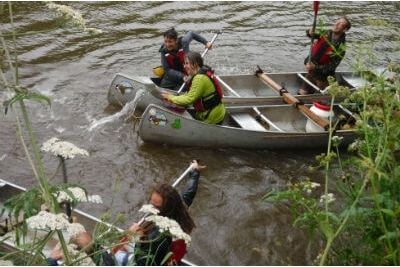 Adventure outdoor activities are brilliant for team building. 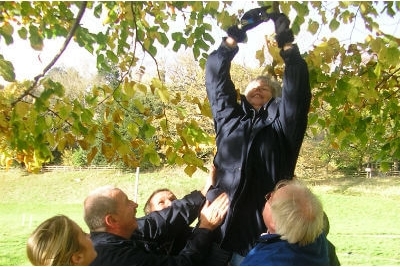 Whether you want to focus on developing specific areas or yours is a team that has recently formed or merged, outdoor activities provide the perfect opportunity to promote trust, encourage greater collaboration, cooperation and team spirit, improve communication and sharpen decision-making skills. With a lower trainer to delegate ratio, our team building events are designed to incorporate command/problem-solving tasks and to enhance the development of key team dynamics and skills. We can be totally flexible to fit in with your requirements, and events can run on a half day, full day or multi-day basis. Spend some time with Inspire2Adventure and see your team grow and develop on the day an once everyone returns to their desks. Plus there will be lots of fun and enjoyment along the way and all the benefits of being out and about! In just 3 1/2 hours we'll help bring your team together. This may be through a specific team challenge or one of our outdoor adventure activities, and we promise to keep it fun! Prices start from £45 per person including all activity and safety equipment. Working in small groups, putting everyone in unfamiliar surroundings will help break down any existing barriers, promote closer teamwork, stimulate great interaction between colleagues, encourage physical and emotional support to strengthen relationships and develop trust. We utilise a variety of tasks and outdoor adventure activities to highlight and review areas within the team that need improvement. Some tasks will require lateral thinking and others a creative flair, but all activities require good teamwork. It may sound like a challenge, but your team will also find the whole experience enjoyable. Prices start from £85 per person and includes all activity and safety equipment. Our full-day team-building day runs for approximately 7 hours. We'll discuss your requirements to identify needs, set objectives and a design course that will deliver the desired outcomes. Involves the group participating various activities that will highlight the objectives set. We take time out to review each task. As the day progresses, the team will start to recognise their strengths and weaknesses, which will result in solving problems more effectively. The event concludes with a debriefing session that will allow the group to identify what they've learnt and how the experience can be positively incorporated into their working environment. These tasks are designed to examine specific areas of team dynamics, highlighting specific areas such as planning, communication and decision making. Tasks are dependent on a team's ability to work together to achieve a successful outcome and will test both physical ability and critical thinking.